Jorge Luis Borges was born in an educated middle-class family in August 1899. They were in comfortable circumstances, but not wealthy enough to live in downtown Buenos Aires. They resided in Palermo, then a poorer suburb of the city. 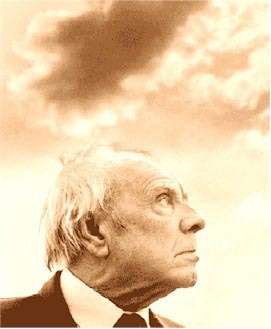 Borges’s mother, Leonor Acevedo Suárez, came from a traditional Uruguayan family of “pure” criollo (Spanish) descent. Her family had been much involved in the European settling of South America and she spoke often of their heroic actions. 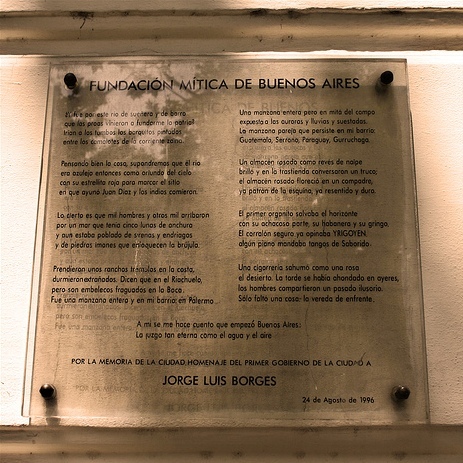 Borges’s 1929 book Cuaderno San Martín includes the poem “Isidoro Acevedo,” commemorating his grandfather, Isidoro de Acevedo Laprida, a soldier of the Buenos Aires Army. A descendant of the Argentine lawyer and politician Francisco Narciso de Laprida, Acevedo fought in the battles of Cepeda in 1859, Pavón in 1861, and Los Corrales in 1880. Isidoro de Acevedo Laprida died of pulmonary congestion in the house where his grandson Jorge Luis Borges was born. Borges grew up hearing about the faded family glory. On the other side, Borges’s father, Jorge Guillermo Borges Haslam, was part Spanish, part Portuguese, and half English, also the son of a colonel. Borges Haslam, whose mother was English, grew up speaking English at home, and took his own family frequently to Europe. England and English pervaded the family home. That work the warp and weft of this life. Unknowingly, we have said goodbye? There must be one I will never read. As it were within a lithograph. And there a four-faced Janus watches. Under white sun or yellow moon. You long to speak imperishable things. All that yesterday on which today I lean? The Romans erased with fire and salt.